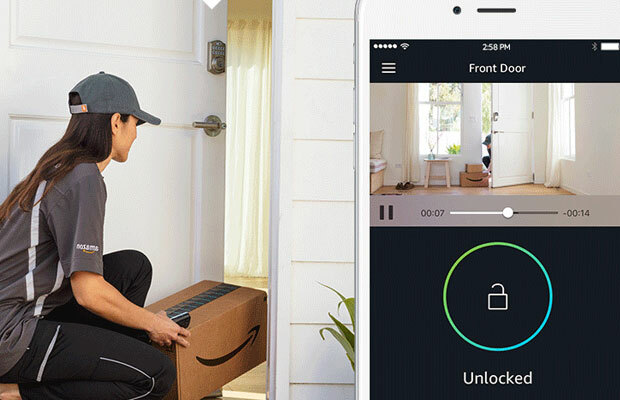 “Amazon Key gives customers peace of mind knowing their orders have been safely delivered to their homes and are waiting for them when they walk through their doors,” said Peter Larsen, vice president of delivery technology at Amazon. When a driver requests access to the customer’s home, the Cloud Cam confirms the driver is at the right address through an encrypted authentication process. After the request is authenticated, the Cloud Cam starts recording the delivery and the door is unlocked. “It’s significant in that we’re working with Amazon, obviously a powerhouse in online retailing, and working with them on one of the most innovative programs in e-commerce and home delivery,” the firm said in a statement provided to the E-Commerce Times by spokesperson Terry Shea. The Amazon Key program will provide features beyond home delivery of packages, the company said. Customers will be able to grant keyless entry for family and friends, and they’ll be able to set frequency and length of time for access to the home.